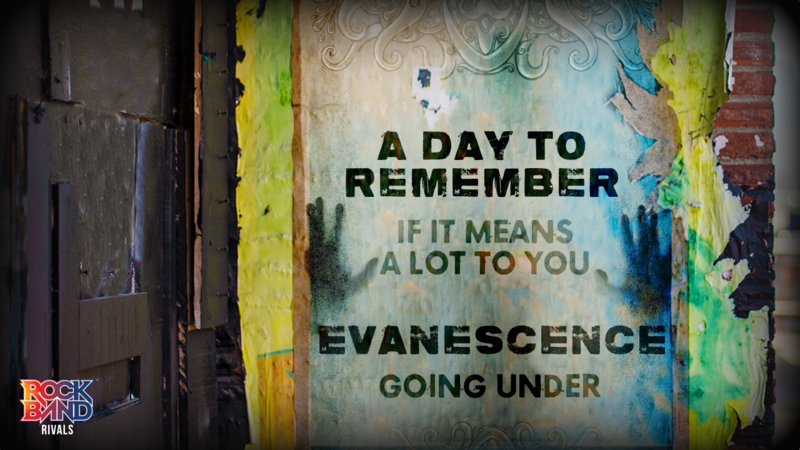 Finish out May with great DLC from A Day to Remember and Evanescence! Closing out A Day to Remembers album Homesick, If It Means a Lot to You established itself as a fan favorite (in large part due to its singalong climax at live shows) and became an RIAA-certified gold track for selling half a million units. If It Means a Lot to You is mostly guitar and vocals, with percussion and bass not coming in until closer to the end of the song. The guitar is varied and the harmonies are a great male/female duet, so even the stripped-down part of the song has plenty going on. Going Under was the second single from Evanescences debut album Fallen. Critically well received, the song spent half a year on the Billboard Alternative Songs chart following its release. Its gone on to become one of the most enduring songs in Evanescences catalog, still seeing live performances in their tour last year. The guitar part is pretty chord heavy, with a solo thrown in for good measure. Drums are consistently active through the whole song but not too difficult, a nice balance of fun and tough. Singers should definitely pick the song up, as Amy Lees vocals are on full display here, slowly escalating as the song continues. Harmonies on Going Under are basically mandatory for any party!